The curator of VBS Mutual Bank asked PricewaterhouseCoopers not to continue as internal auditor. Evidence of fraudulent reporting was found. It has been a bad week for auditors in SA. PricewaterhouseCoopers was asked to stop its work as internal auditor at VBS Mutual Bank by the curator of the collapsing bank. 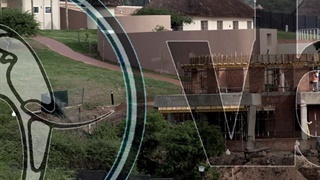 The curator, auditing firm SizweNtsalubaGobodo, found evidence of fraudulent reporting and manipulation of financial information in its first report on VBS, which was placed under curatorship in March. Deposits worth R900 million – out of a total deposit book of R2.9 billion – reportedly went missing while PwC was the company's internal auditor. "Whilst PwC has been in contact with the curator of the VBS, we have been instructed not to continue our internal audit engagement at this stage," says Fulvio Tonelli, chief operating officer of PwC. The Reserve Bank placed VBS under curatorship in early March after the bank could not meet its commitments. After SizweNtsalubaGobodo was appointed as curator, PwC was instructed to stop its internal audit work. "As internal auditors at VBS Bank, PwC’s role was agreed with management - and approved by the entity's audit committee - and generally concerns the consideration of VBS’ risk management, internal control and governance processes. It would not ordinarily require the examination or testing of individual transactions or specifically the identification of fraud. PwC confirms that it was not within our scope of engagement to identify fraudulent transactions," said Tonelli. "The curator has not to date engaged PwC at all in relation to the allegations of fraud. "As is always the case when engagements we are involved receives media attention, we are considering the internal audit engagement and work performed," Tonelli said. The curator told PwC that the extent and scope of its work would be evaluated at a later stage. KPMG was the external auditor of VBS. (Internal auditors advise management on business practices and risks, while external auditors issue an opinion on financial statements.) 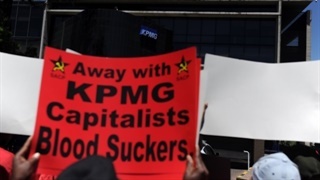 The firm this week suspended the lead audit partner on VBS, Sipho Malaba, who also ran KPMG's largest business unit. In an internal memo, KPMG warned staff to expect more disciplinary action "which may involve others". Some 21 municipalities invested their money with VBS, which – given that it is a mutual bank – was unlawful in terms of the Municipal Financial Management Act. The Moretele Local Municipality in the North West diverted R50 million meant for water infrastructure to VBS, while the West Rand District municipality invested more than R100 million in the bank. Continuing a disastrous week for auditors, the chief executive Mitesh Patel of Nkonki Inc resigned after amaBhungane revealed that his R107m "management buyout" of the pioneering black auditing firm eighteen months ago was funded by Gupta lieutenant Salim Essa. The article has been updated with information made available by PwC.